The classical art of grappling, control holds, throws, matwork, and weapons. You’ll learn how to control an attacker and escape from threatening physical situations. This coursework is used by many law enforcement agencies for its ability to physically neutralize an opponent. It is highly recommended for women. Class begins with Ukemi which is the art of break falling. Students will learn how to properly fall from various different positions such as forward, backward, sideways. 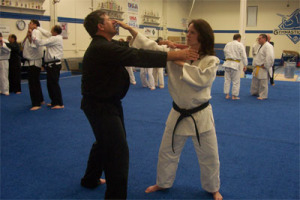 Class then proceeds to the practice of kata (series of attacks and defenses). Our katas use blocking, kicking and control holds such as arm bars and wrist locks. 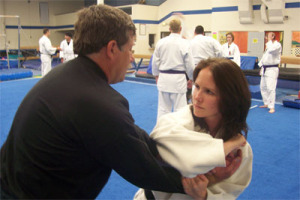 Our jujitsu class often includes the practice of Judo throws and grappling. 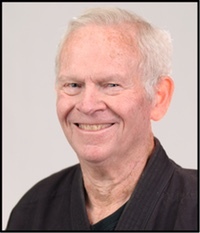 JUJITSU CLASS IS HELD ON WEDNESDAYS FROM 7:30PM TO 9:30 PM.